Pampers — Lubin Lawrence, Inc.
Pampers revolutionized the baby care industry with its invention of the disposal diaper – a product that promised to "Keep Baby Drier”. Mothers loved the premise and their purchases buoyed Pampers’ market share, helping establish Pampers as the market leader during its first decade in business. The competition, however, quickly adapted. Huggies, Luvs, and other baby-care brands soon introduced their own lines of disposal diapers. "Keeps Baby Drier” no longer represented cutting edge innovation; it was now the bare minimum for entry. Pampers’ performance plateaued, and then declined for more than a decade. In the absence of new and meaningful innovations, Pampers’ “dryness” strategy was incapable of growing or even sustaining the franchise. Minor feature improvements weren’t going to cut it. To regain market share, Pampers had to raise the bar and develop step-change innovation. To learn what innovations would be most attractive to consumers, LLI had to first understand what mothers wanted from a baby care brand – beyond product functionality. Product features could be copied by competitors. Brand essence couldn’t. Our goal was to answer the following question: What was a mother’s emotional motivation for choosing a particular diaper brand? Through our Experience Driven © Design method, we learned that the fundamental human value mothers most cherish is skinship. Mothers want to develop the emotional, physical, and mental bonds that last a lifetime with their infants through physical connection. And naturally, a mother’s arms are the safest place for her baby. But as babies grow, their worlds expand. Mothers strive to ensure that their babies remain safe and comfortable outside their arms – and at all stages of development. Based on those insights, we developed a new Unique Advantage for Pampers: Supporting Baby’s Health Growth. Inspired by this sentiment, Pampers adopted a new brand essence: “Better for Baby”. Being “Better for Baby” meant catering to infants’ unique needs at each stage of development. Thus, the concept for Stages was conceived. LLI focused on developing marketable differences for four distinct stages of development: newborn, curious baby, mischievous explorer, and independent child. New products beyond the standard diaper offering were introduced, such as bibs and wipes, thereby expanding the concept of “baby care by Pampers” and improving brand salience among consumers. 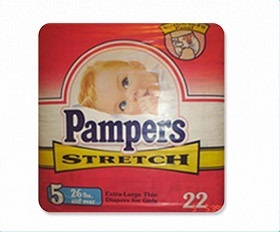 Stages effectively allowed babies to grow up with Pampers. Consumer loyalty to the brand deepened and mothers proudly self-identified as “Pampers moms”. Thanks to Stages, Pampers successfully evolved from a functionality-based brand to an aspirational lifestyle brand. The launch of Stages marked the beginning of a drastic turnaround for Pampers. For the first time in decades, Pampers began to build sales, volume, share and profit simultaneously. Revenues more than tripled, from $3B to $11B, in 9 years.